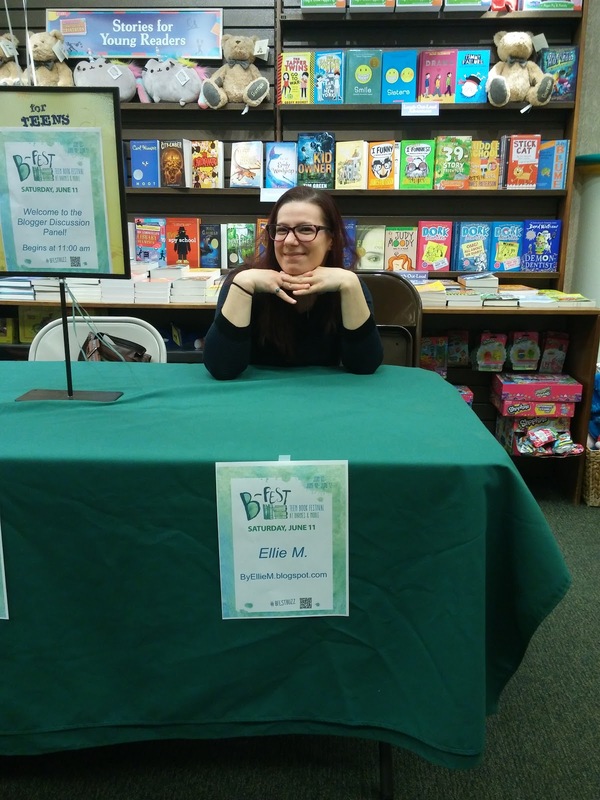 So this past weekend, Barnes & Noble held their very first Teen book fest! It was nation wide, at all B&Ns stores, and each store had their own things going on. They had a huge list of authors and special guests and bloggers.... including Me! Sarah, from WhatSarahRead invited me and Melissa, from LiveLoveRead, to be on a bloggers panel with her in Dartmouth, MA! Honestly, I was a bit nervous. But I figured if I didn't put myself out there then I'd only have myself to blame later when I regretted not being more outgoing, you know? It was such a great opportunity, and I figured that it would be great practice for future events, hopefully! It was so crazy seeing Barnes and Noble tweet about us after! And even posted our blog graphics too. Dartmouth is QUITE far from Boston, so I got dropped off at Melissa's place and she drove us down from there, where we would meet up with Sarah. To our delight, they already had our table set up, complete with out names! Of course I couldn't help take a bunch of pictures. We set up our all time Favorite books to talk about. 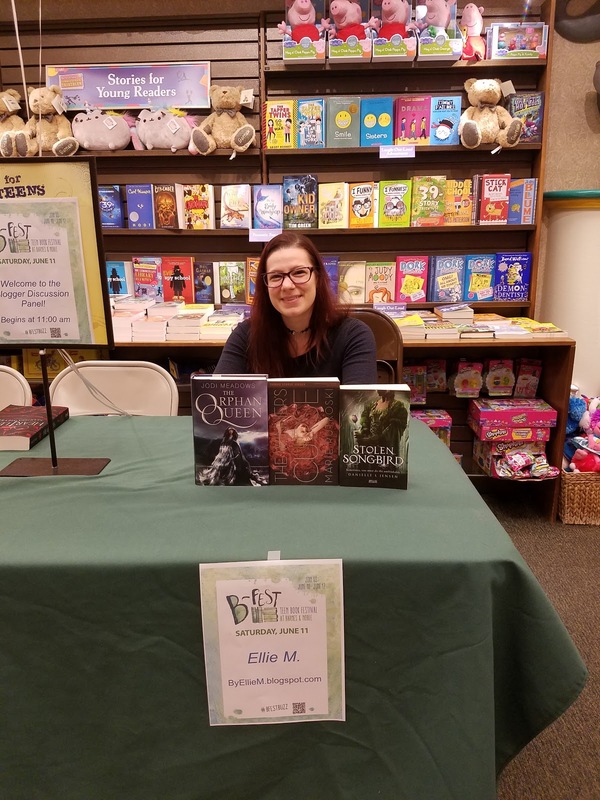 My choices were Stolen Songbird, The Orphan Queen, and The Winner's Curse. It was REALLY hard only picking three. Melissa had chosen Alanna Song of the Lioness, The Heroes of Olympus books, and Six of Crows. 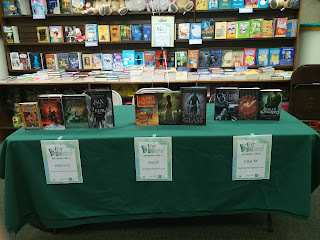 Sarah chose I'll Meet You There, Kiss of Deception, and Throne of Glass. 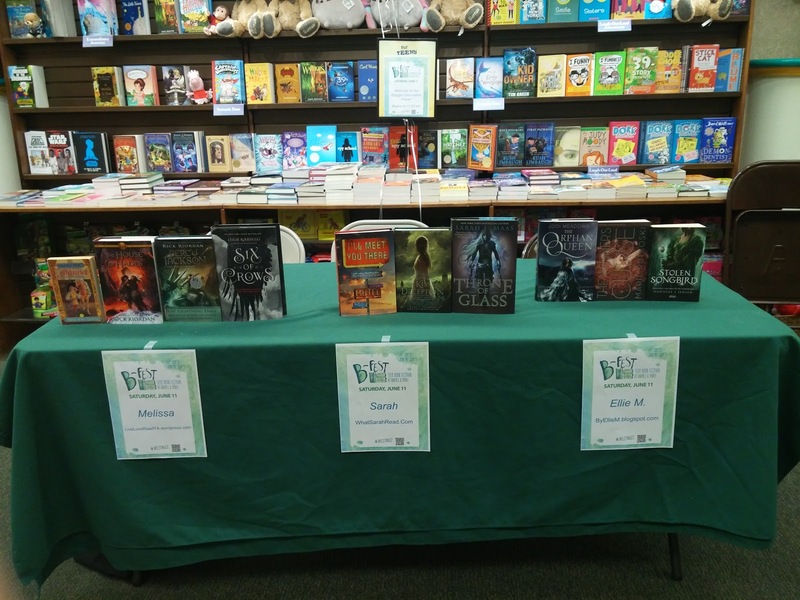 There was one young reader in the sixth grade who asked for Horror/Thriller Recs! She was so adorable. And we were so out of our element! All three of us had chosen mostly all fantasy, and none of us really knew horror. But some quick thinking, and a google search later, we came up wit ha good list for her! A little after 11 (to give people more time to attend) we started the panel! 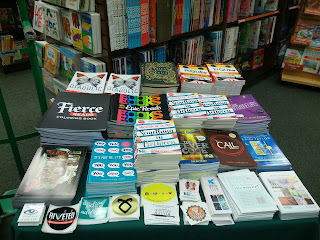 After the panel, they had their swag table all up and ready! 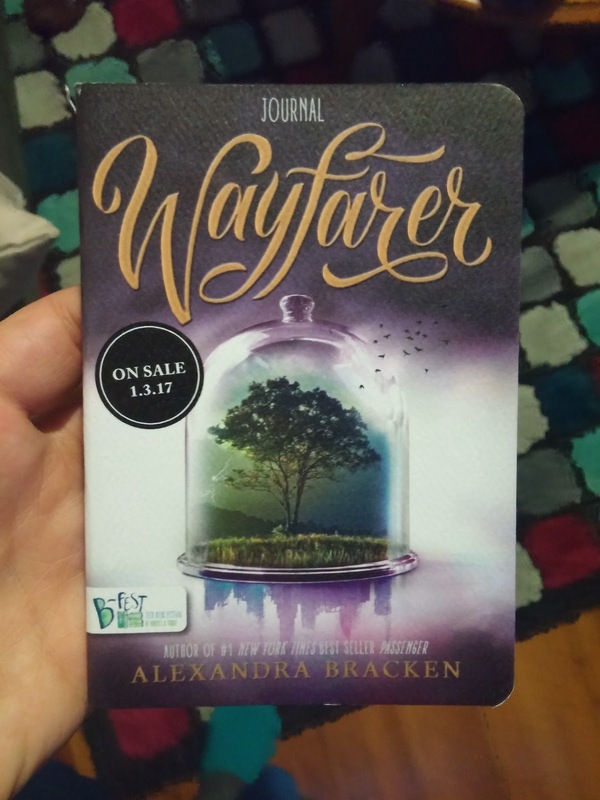 There weren't any Arcs at this location, but they had a bunch of other goodies, including the Stalking Jack the Ripper Tattoos! 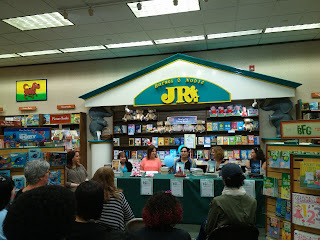 After, Sarah stuck around to moderate the author event while Melissa and I tried to find food. 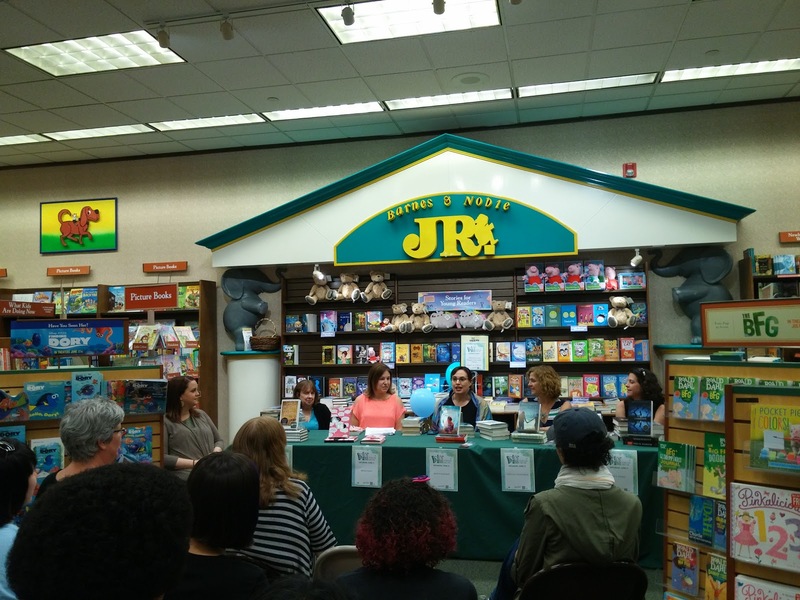 We got back to see a great turnout for the authors! 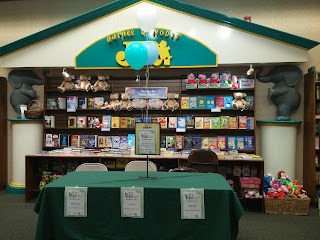 Melissa and I stayed a bit after the book signing to participate in the Scavenger hunt, and the Spelling Bee. The prizes were totes with Wayfarer passport journals. That is so awesome!!! I love that they had your names on the table. I hope they do B-Fest again next year because it was loads of fun! Lovely recap of the event! I am glad you ladies had fun!